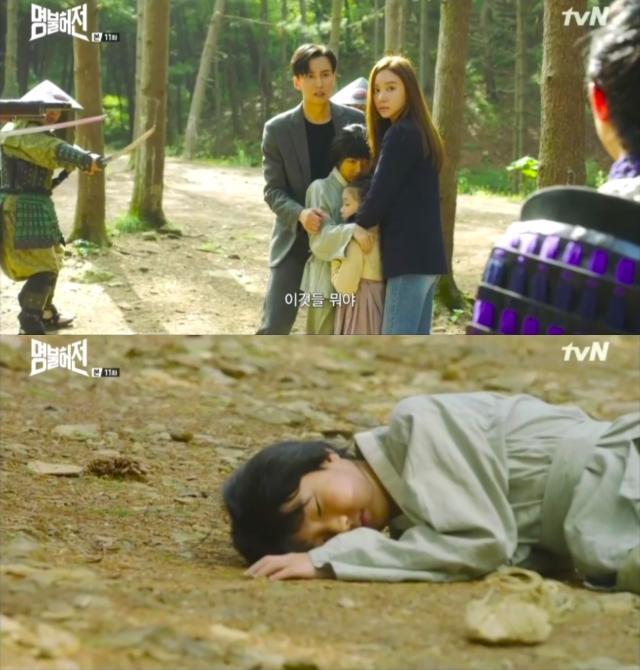 In the tvN drama Live Up to Your Name, Dr. Heo ‘episode 11 depicted the story of Heo Im (Kim Nam Gil) and Yeon Kyung (Kim Ah Joong) who traveled in the timeslip to Joseon ensuring the feelings of love from both. On that day, Heo Im and Yeon Kyung met up with a brother and a sister. However, someone was hit by a bullet and the two came together to take care of the child together. Yeon Kyung who suffered from trauma was working hard to save the child and finally he could heal her. Then Heo Im said to Yeon Kyung, “Death is a pity, but life and death are what heaven defines. We are not the ones who do their best to prevent death. To know your heart, neither your girl nor your father should do her best until the last minute”, and Yeon Kyung was comforted by leaning to him in a gentle motion. Yeon Kyung grew feelings after seeing Heo Im who healed people who have been wounded in wartime. She looked at him like that and asked, “Why do you see me like that?” Yeon Kyung said, “I’ll keep it in my heart, your look up close”, revealing that she has grown feelings towards him. In the Joseon Dynasty, both worked hard to save patients and their love and respect for each other became greater. However at the end of the episode, the crisis hit them. Yeon Kyung let go of Heo Im’s hand, and when he was caught, he ran towards her but was stabbed by a knife. Heo Im who is now back in the modern world is interested in two people wondering if it was a farewell. People are curious about how the crisis they face goes.